To make distributed networks work, secure and reliable interconnection is everything. Enapter spurs technological breakthrough in new energy hardware by developing ground-breaking software. 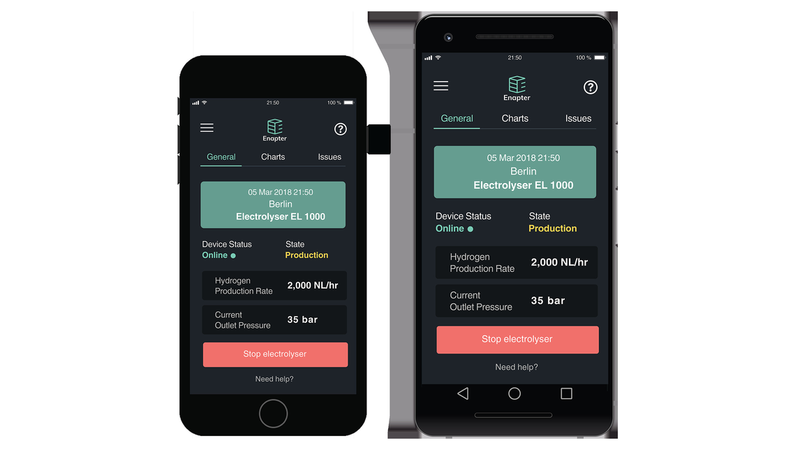 The Enapter Energy Management System enables the simple integration of Green Hydrogen everywhere and provides insights on the entire system’s performance. The team combines electrochemical and IT expertise to drive the Hydrogen Economy from both hardware and software standpoints. Open-sourcing large parts of these developments will allow for the software to become the system of choice for a new decentralized and intelligent energy world.